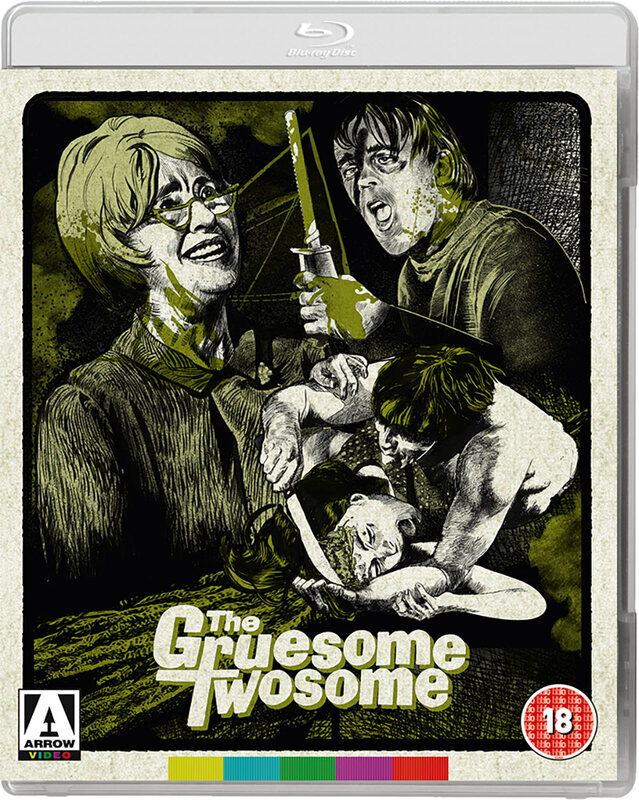 Herschell Gordon Lewis returned to the genre he helped create with the delightfully depraved The Gruseome Twosome! The young women of a small town American college have more than just split-ends to worry about. Down at the Little Wig Shop, the batty Mrs. Pringle and her socially-inept son Rodney are procuring only the finest heads of hair.....by scalping the local co-eds! H.G. Lewis was an insanely busy man during this time, directing anywhere from 2-5 films a year. Though he would help kickstart the genre with the excellently trashy Blood Feast in 1963, it was 4 long years and 13 films later before he would deliver another genre-defining horror/trash classic with The Gruesome Twosome. While short on logic and actual plot, the film (thankfully) delivers on the real reason why we come to his horror schlock films, and that's for the gore - and The Gruesome Twosome does not disappoint. Arrow does an outstanding job bringing the technicolor palatte to life in all it's pink blood-drenched glory. And just like with their excellent Blood Feast release, they offer a healthy dose of extras, including the H.G. Lewis vampire classic A Taste of Blood (1967). Arrow's Region-Free Blu-Ray releases on February 6th and you can order directly from their official website HERE or from any number of online retailers. Henri-Georges Clouzot's unfinished masterpiece, Inferno (1964), is reconstructed in this film which is part drama and part documentary. This fascinating and compelling documentary reconstructs the troubled and doomed production of a film that very well would have become legendary from one of cinema's most gifted New Wave French directors. Just the few images he was able to produce alone before the film was shut down are captivatingly stunning. In fact, this documentary is every bit as good as the film would "possibly" have been. Arrow does another fine job on the transfer of the limited existing footage created, and includes a number of extra features to dig into. 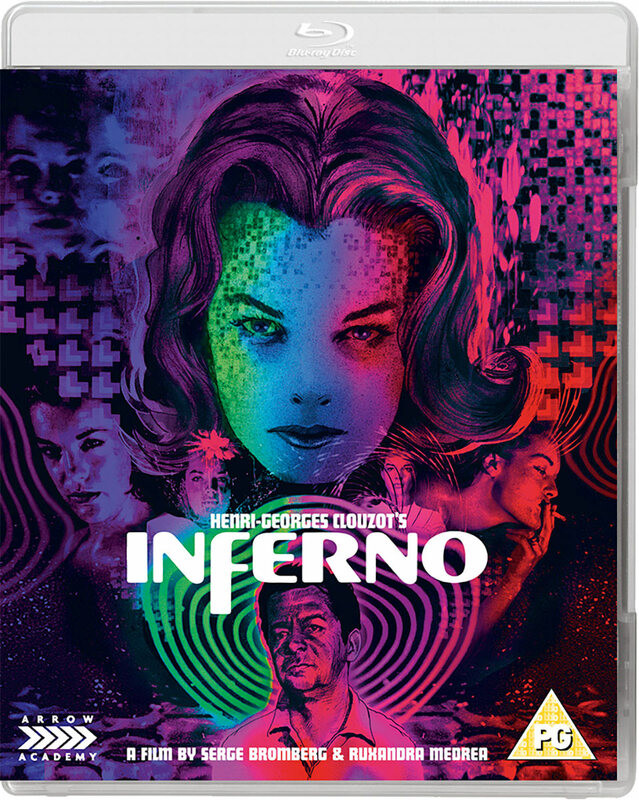 Arrow will release this stunning docu-drama of Clouzot's Inferno on February 6th in a Region-Free Blu-Ray available through online retailers worldwide and directly from their official online webstore HERE. Cult Japanese director Seijun Suzuki, who sadly just recently passed away this past year at the age of 93, directed a total of 54 films, but was most prolific in the 60's. His biggest and most well-known classic would easily be Tokyo Drifter, but Suzuki delivered a number of notable solid films in his entire 5-decades-long career, making him one of the most important and influential filmmakers to come out of Japan. The Boy Who Came Back (1958) marks the first appearances of “Nikkatsu Diamond Guys” and regular Suzuki collaborators Akira Kobayashi and Jo Shishido, with Kobayashi cast as the hot-headed hoodlum fresh out of reform school who struggles to make a clean break with his tearaway past. The Wind-of-Youth Group Crosses the Mountain Pass (1961) is a carnivalesque tale of a young student who hooks up with a down-at-heels travelling circus troupe. Teenage Yakuza (1962) stars Tamio Kawaji as the high-school vigilante protecting his community from the extortions of mobsters from a neighbouring city. The Incorrigible (1963) and Born Under Crossed Stars (1965), both based on Toko Kon’s novels about young love, represent Suzuki’s first films set in the 1920s era later celebrated in his critically-regarded Taisho Trilogy. Each film comes packed in a stunning new box set complete with a brand new 1080p HD presentation with optional English subtitles and a chance for fans of Suzuki's to dig into some of his early work in their best presentations possible. 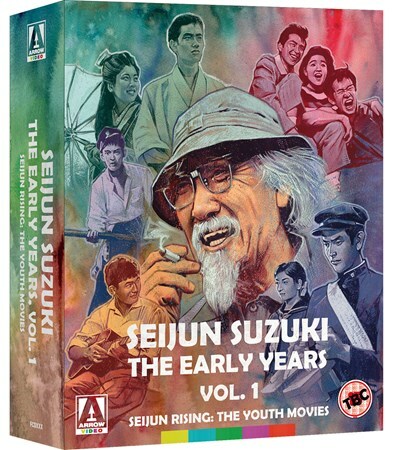 Seijun Suzuki: The Early Years Vol. 1 will be released on February 13th from Arrow Video and will retail for $69.95. You can pre-order directly from Arrow Video HERE or from your favorite online retailers. 8 1/2 (1963) writer/director Federico Fellini delivers a highly amusing and insanely entertaining mockumentary before This Is Spinal Tap would do it a full 6 years later. Despite not being largely considered a classic, it's gained momentum as a certified cult classic largely due to Fellini's razorsharp script and clever dialogue with some tongue-in-cheek flavor that really sets it apart from any other film in his filmography. 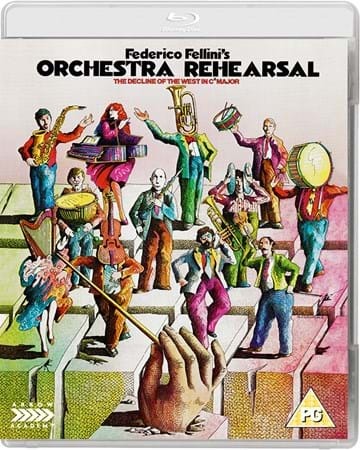 Made in 1978 for Italian television, Orchestra Rehearsal is possibly Fellini’s most satirical and overtly political film. An allegorical pseudo-documentary, the film depicts an Italian television crew’s visit to a dilapidated auditorium (a converted 13th-century church) to meet an orchestra assembling to rehearse under the instruction of a tyrannical conductor. The TV crew interviews the various musicians who each speak lovingly about their chosen instruments. However, as petty squabbles break out amid the different factions of the ensemble, and the conductor berates his musicians, the meeting descends into anarchy and vandalism. A destructive crescendo ensues before the musicians regroup and play together once more in perfect harmony. Abounding with its director’s trademark rich imagery and expressive style, Orchestra Rehearsal marks the last collaboration between Fellini and the legendary composer Nino Rota (due to the latter’s death in 1979) who provides one of his most beautiful themes in the film’s conclusion. Arrow does an excellent job on not only the stunning new 2K restoration, but also in one of the film's other most important elements, the sound, which plays a huge role in the film. Though short on special features, the film is a landmark in the mockumentary genre and has never looked or sounded so good. If you're a fan of this film, you owe it to yourself to grab this release. This new 2K transfer from Arrow will be available on February 13th and will retail for $34.95.